This month's cut apart digital sheet, as well as the ephemera pack (from Elle's Studio in the main kit, and Pinkfresh Studio in the add on kit) had many tags and labels in them, so i took advantage of them all to create a banner on the 8.5x11 white cardstock. A piece of grey jute cord (Maya Road) was wrapped around the cardstock, and all the tags, and flags were strung and glued on one side of the banner, so that the picture could be place also in the banner. 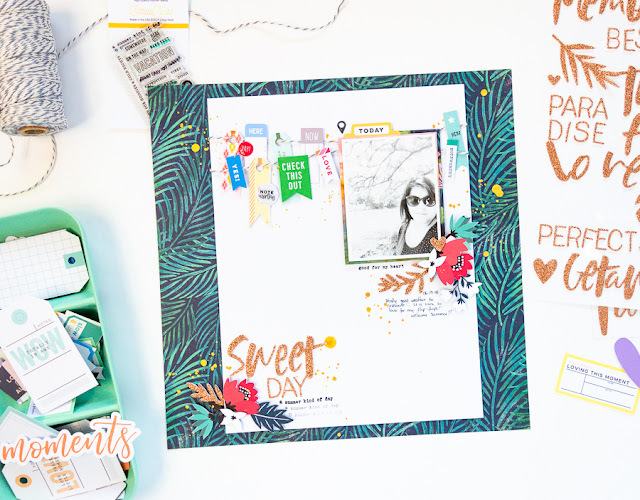 Once the picture was set, a few floral motifs were fussy cut from the 'Promise' paper from Shimelle included in the Cypress kits, and then used to create a large cluster around the picture. 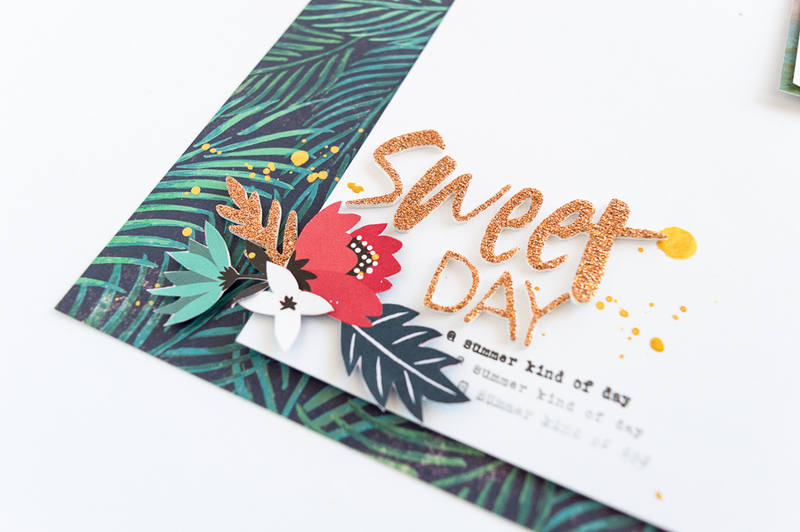 The foam glitter thickers from Crate Paper help to complete the cluster, and marry the page to the design on the patterned paper that is used as background for this page. I used the same fussy cut florals and foam glitter stickers to create the title of this page. 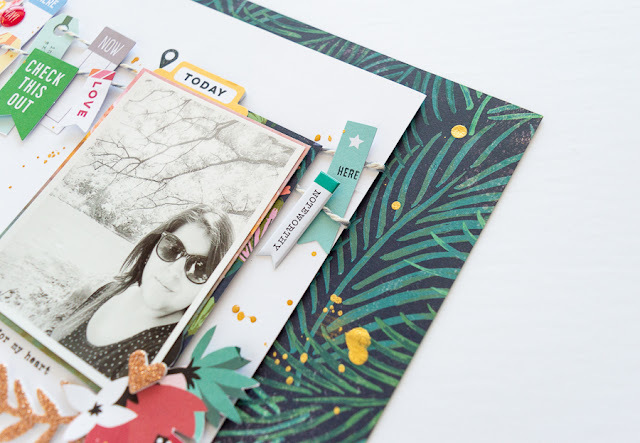 Some of the pieces were placed outside of the white cardstock so that they tie into the background. 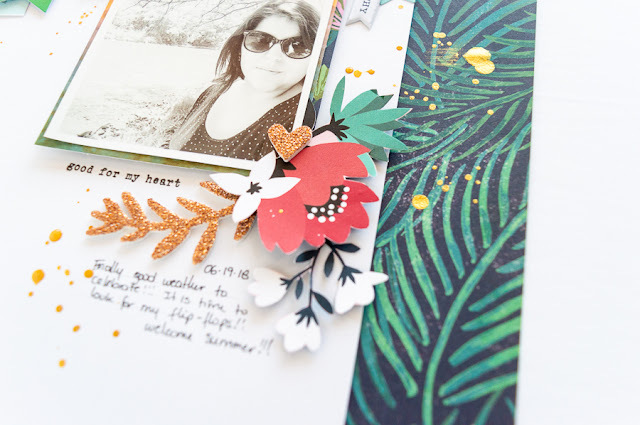 To finish the page a few sentiments were added using the main kit stamp set, followed by some journaling lines and gold ink droplets. 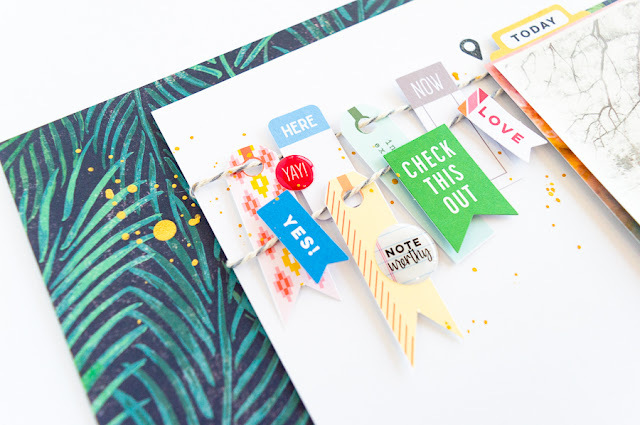 The following video will show you a more in-depth look at how this page came together. I really enjoyed working with a smaller format, and then adapting it to fit my regular scrapbook albums, but having the threee prompts made it so much easier to create this page about a beautiful Summer day here in Toronto. Now is your turn to use the prompts to create a project of your own. 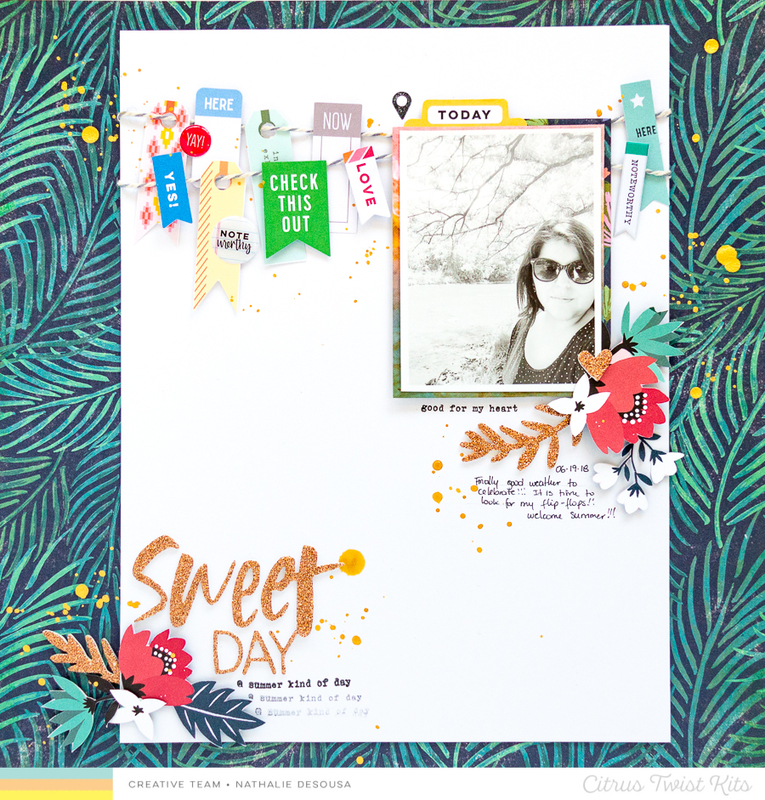 Remember to share your creations on the Citrus Twist Kits Friends page on Facebook, or on social media (please tag @citrustwistkits) . I look forward to see how you interpret the prompts in your pages.